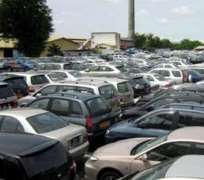 Nigeria spent about N1.05 trillion last year on importation of vehicles and spare parts, while its local car assembly plants suffered monumental loss in patronage, according to the Director General of the National Automotive Council (NAC), Alhaji Aminu Jalal. The Chairman, Board of NAC, Alh. Abdulkadir Saleh has promised that NAC would ensure implementation of the new automotive policy to ensure government's patronage of locally assembled cars. These revelations were made, yesterday, when an eight-member Board of NAC toured the 40-year old PAN in Kakuri, Kaduna. The tour showed PAN has made a lot of remodelling of its old facilities, building the state-of-the-art workshop and importing sundry machines and equipment as its engineers and technicians simultanesuly assembled Peugeot 307 models and Changan Alsvin Sedans. Fielding questions from reporters after the tour, the DG of NAC, Jalal, said: 'I want to tell you that last year alone, this country spent N550 billion on importation of cars, buses and trucks. That does not include tractors, and military vehicles. Again, we also spent around N500 billion on spare parts. In fact, on tyres alone, we spent N150 billion. And this year, the same trend is showing. 'This is not good for our country. With the new policy, we are going to support our car plants to produce very standard cars at globally competitive prices. This is going to greatly add to our local content. For example, to assemble a car here, you need about 2,500 parts. If many cars are produced and sold here, it would encourage the local manufacturing of these parts, creating more wealth here and driving down the cost of vehicles. By the time we start implementing this policy, you will see a very impressive positive change in just six months. On his part, MD of PAN, Alhaji Boyi said: 'In the mid-'80s and early '90s, we were doing very well. In 1985, we produced 90,000n cars. Government policy was very favourable then. But after that the environment became very bad as all kinds of vehicles started coming into the country. Today, we produce between 25 and 30 cars only during working days. Our workforce of 4000 in the '80s is just now 250. We are hoping that the situation will change, because we have put in every modern facility, and forged the right international technical partnership to succeed'.